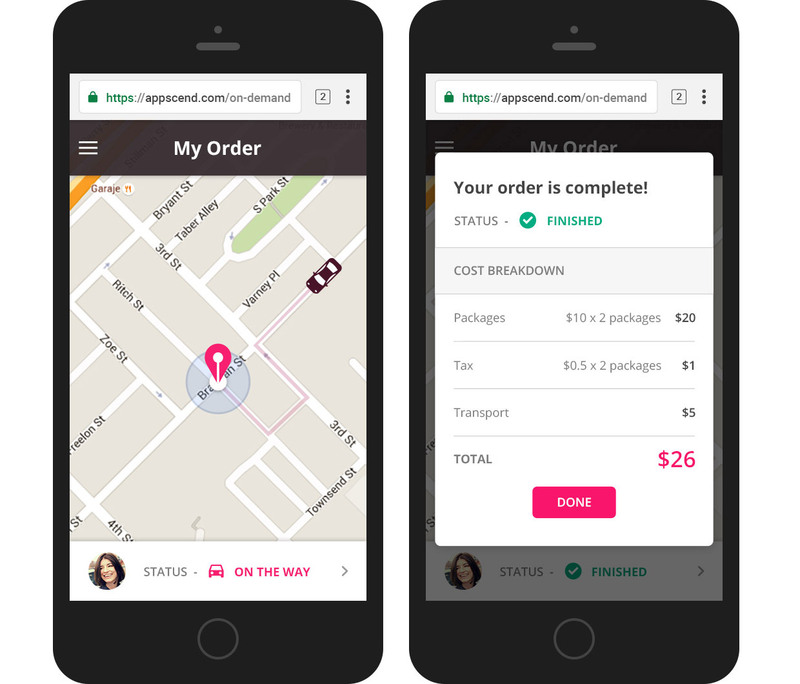 Appscend’s on-demand platform is an end to end solution designed to power the on-demand economy for startups or large businesses alike. Our platform is made up of 3 key pillars that come together as one to offer you a solid and scalable solution for on-demand marketplaces. WANT TO SEE OUR ON-DEMAND PLATFORM IN ACTION? It takes only 20 minutes and we’re sure it will be worth your time! Simple to use client facing application that enables your customers to place orders from the web or from mobile that are instantly dispatched to the network of suppliers. 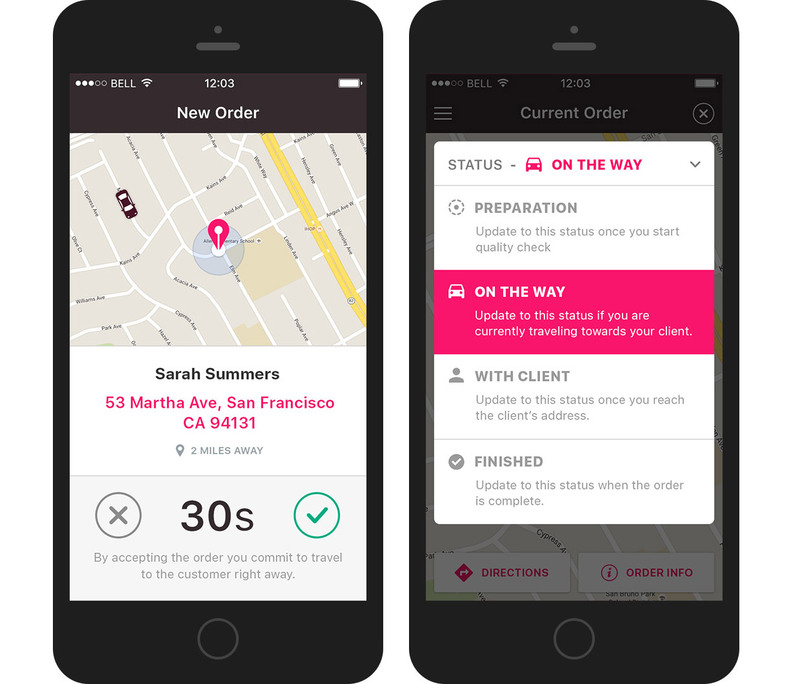 Accepted orders are tracked through a unique URL where customers can view at any given time the status of their order and the location of the supplier. Once an order is finished it’s easy to process the payment from your customer through out of the box integration with Stripe / PayPal or any 3rd party processor. INTERESTED IN USING OUR ON-DEMAND PLATFORM? Appscend on-demand grows with your business and we’ve made it really affordable to get started – as low as $199 / mo. Suppliers receive order details in real-time with alerts triggered via Push Notifications based on their location and proximity to your customers. Once a supplier accepts the order, client info becomes available and a series of “order statuses” helps both sides stay informed over progress. The built in rating system enables your customers to review and rate your suppliers making it easy for you to know who are your top performers. Don’s see your usecase here? Tell us what industry you’re in and we’ll come up with some ideas on how we can make it work! 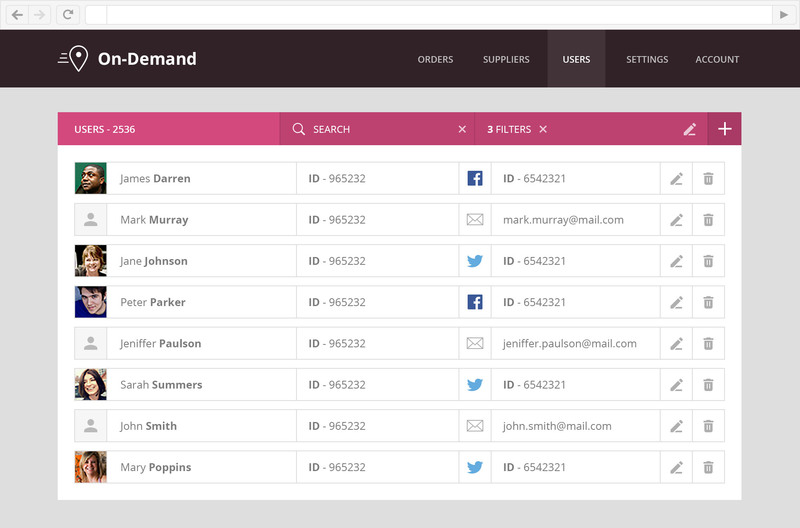 Our backend gives you complete control over your user base, orders and suppliers with relevant metrics & statistics. Permission based accounts enable you to set custom roles for the team members within your organization.